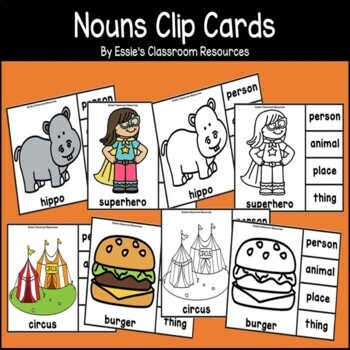 This Nouns Clip Card Activity is part of a BUNDLE and contains 64 clip cards that focus on identifying types of nouns. 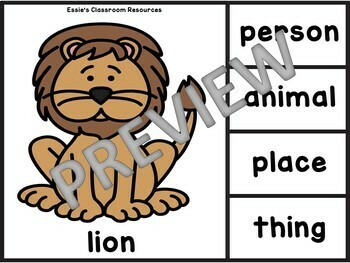 Students choose a card, look at the picture, and determine if the noun is a person, animal, place, or thing. Students will then use a clip to pin the correct answer. Simply print and cut apart the cards. You can also laminate for durability. The clip cards come in both color and black lines. 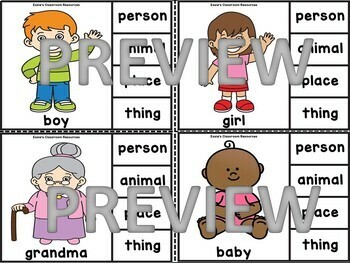 This is a fun and engaging way to practice a key language skill for young learners. 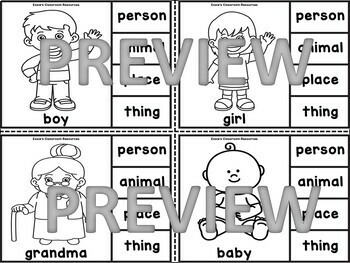 Use these as part of your learning center or with individual students who require instervention.